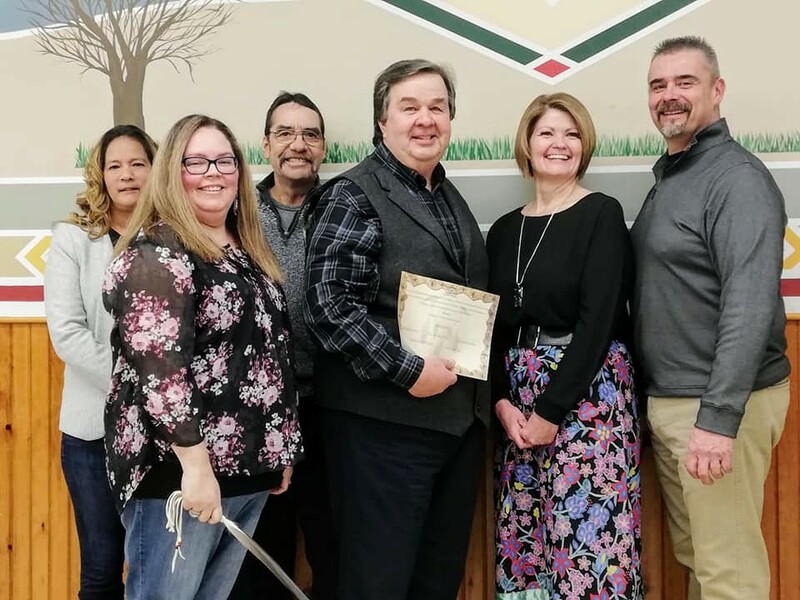 London, Ontario, February 04, 2019 – Over the weekend Hiawatha held their swearing in ceremony for Chief and Council. Chief Laurie Carr is serving her 2nd term as Chief for Hiawatha First Nations, Mississaugii of Rice Lake. The Association of Iroquois and Allied Indians wish to extend a honored congratulations to her and look forward to a long and prosperous working relationship. Grand Chief Joel Abram states “I am glad of her re-election she is an energetic, charismatic and intelligent woman whom I’ve always shared a great friendship with. She is always mindful of her nation and to do her best for her people.” Late last year Chief Carr played a part in the Williams Treaties settlement that saw Ontario extend a historic apology to seven First Nations communities that included Hiawatha. A.I.A.I. looks forward to working with Chief Carr and the newly elected council in their new term that goes from 2019 – 2021.